Selena Gomez is bidding adieu to music-making, while she is still in the middle of promoting her second album dubbed, ‘Revival’. These rumors are doing the rounds in the celebrity media as sources reveal that Revival may be her last music album. 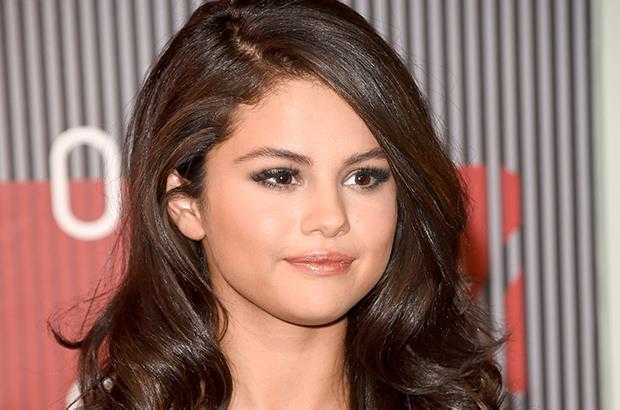 Gossips are galore with news that Selena Gomez who is still doing her promotional tours for her second album ‘Revival’ is ready to give up music-making. People are wondering as to why would a gorgeous singer with a beautiful voice and who is in the throes of amazing success would want to chuck up everything and say ‘enough’. However, according to Hollywoodlife.com, sources claim that the ‘Heart Wants what it wants’ singer will continue to be a singer and actress, but it will be a package deal. The insider claimed, ‘She may take a hiatus from one or the other from time to time but she will never fully quit from either. She will always be a singer and an actress no matter what’. However, it is rumored that a few Selena Gomez antagonists are bad-mouthing her in her hour of musical success and are spreading gossips that underneath a spirited façade, she is actually a complete mess. She is apparently crying all the time thinking of the backstabbing and hypocrisy of the music industry and is claiming that ‘Revival’ will be her last and she wants to call it quits. These sources also added that SelGo did ‘Revival’ only because she was already under a contract to complete it. This information seems contrary to her own statement wherein she had said that she made Revival because this is her time, she deserved it and the album reflected who she is. Hence, her supporters are ridiculing and rubbishing the ‘quitting’ rumors and are claiming that there is no truth in the news that Gomez did ‘Revival’ only because of a contract compulsion. Moreover, the ‘Revival’ tour that has been planned is expected to keep the ‘Good for you’ singer busy in 2016. Announcing plans of the impending tour, the 23-year-old singer had said in early October that she is ready to hit the road and meet and interact with her fans in person. She added, ‘I cannot wait to get on stage and perform this new material’. Her tour is expected to start on May 6 next year with her first concert at the Mandalay Bay in LA. Her North American musical sojourn will take her across Canada and the US and it is expected to end with a performance at the Staples Center at Los Angeles on July 8.